Happy Sunday! Here's A Creepy-Faced Sun. 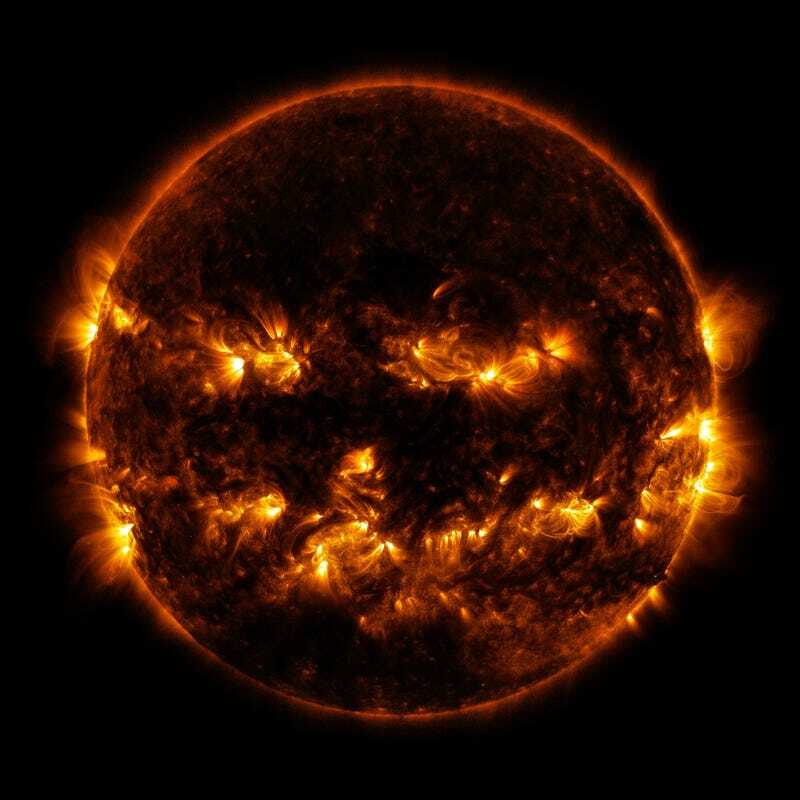 Active Regions on the surface of the sun combined this week to resemble the cackling visage of a Jack-O-Lantern.